In November 2016 I headed to Thailand to experience a new volunteer project, offering a new approach to elephant conservation: returning the elephants to the wild after a life of working in the tourist industry. This was an exciting concept for me, and one that I was keen to explore further. There are almost 4 times as many captive elephants in Thailand than there are wild elephants. Most of the elephants in captivity are owned by small communities and families, who used to use their elephants in the logging industry. When this practice became illegal, suddenly the families had no income and, what’s more, they had an elephant to feed that needed 250kg of food each day. Many people turned to tourist camps, renting their elephants out to be used for trekking and performances. This is indeed where the majority of Thailand’s elephants are now based. I was going to Thailand to visit an elephant conservation project which was aiming to return the elephants back to their native jungle. The journey from Chiang Mai up into the mountains took about 4 hours. 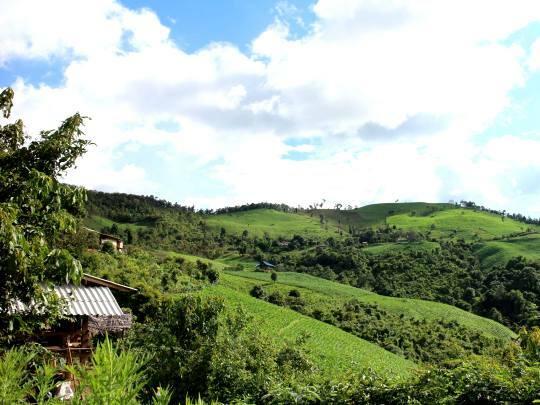 We drove up and up, circling the Doi Inthanon National park and then dipping down into a lush green valley. 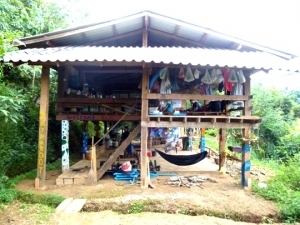 We climbed again into a small Karen village, where volunteers are based for the duration of the project. The sweeping views were stunning, with forests, rice paddies and fields as far as the eye could see. The houses clung on to the edge of the hillside, wooden and stilted, fitting in naturally with the landscape. Dogs wandered the street to say hello to you as you passed, and monks could be seen going about their business close to the monastery. Children played football outside the school, and others ran up to say hello as you passed. Everyone greeted you with a smile, ready to welcome you to their small community. I spent some time with the volunteer staff, learning all about the community and the elephants here. 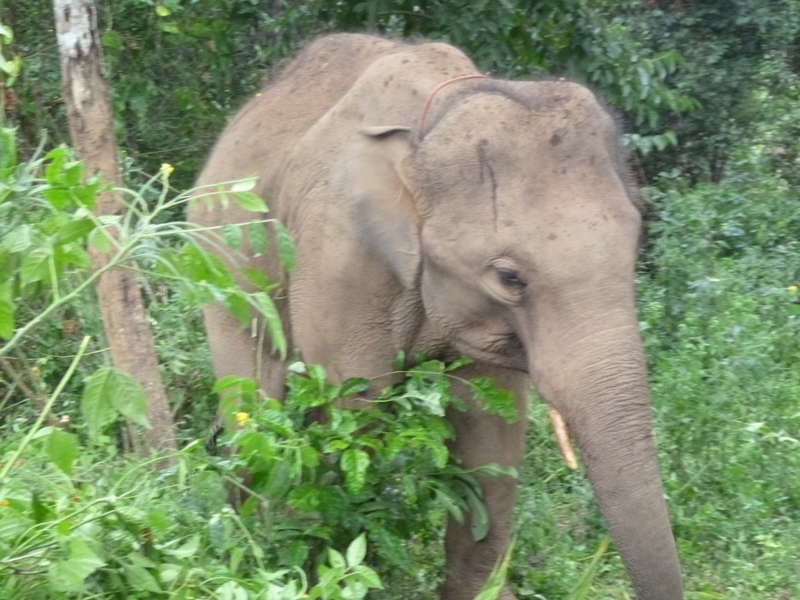 I was lucky enough to see some of the rescued elephants by doing a short walk into the forest. A total of 7 elephants have now returned to the wild, out of a total of 60…. there is still a long way to go! I stayed in a lovely wooden house overlooking the valley. I learned the pleasure of a simple shower from a bucket, and mastered the mystery of the squat toilet without falling in- indeed, it is much easier than I had thought! The thing that I loved about this project was being able to combine the elephant conservation work with becoming immersed in the community. This is a two-pronged approach to elephant conservation: the local community are keen to welcome the elephants home and to have the volunteers in the village. The volunteer presence in the village means that the elephants can come home, and by immersing themselves in the local community then the villagers are ever more keen to have them there. They can improve their English with the volunteers, sell their beautiful homemade crafts to the volunteers and even teach them how to do this themselves. It is a symbiotic relationship, which is what conservation is all about. To find out more about this inspiring volunteer project, see our elephant conservation page. Next Post Introducing the new and improved China Adventure!